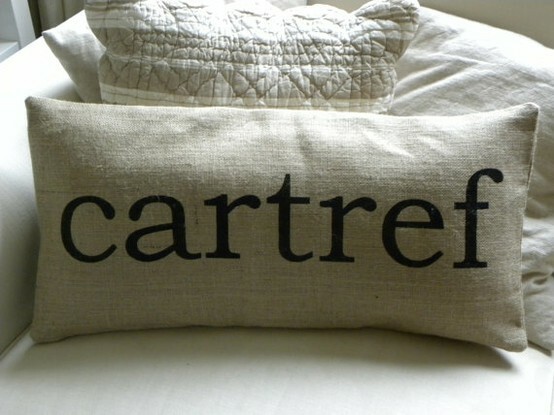 "Cartref" is Welsh for Home. And Home is on my mind today as I wait to board the airplane. Be it ever so humble, there's no place like home"
Safe travels, Delores. And happy landings. I couldn't agree more! Safe trip home Delores. Have a safe and wonderful trip! Have a wonderful trip wherever you are headed...enjoy! I think you have been away caring for your Mom? Hope all is well and you are now home safely. XO, Pinky We have been away for 2 weeks: got home yesterday and it is true....ther is NO place like home! Cute pillow...have a safe trip! The pillow is adorable. I agree... there's no place like home. Have a safe trip, Delores. Safe travels wherever you are headed. Home will be waiting. Pinning Inspiration Photos "Old School Style"